Ceres, Citrusdal, Clanwilliam, Darling, Hermanus, Malmesbury, Riebeek Kasteel, Stanford, Swellendam, Worcester. 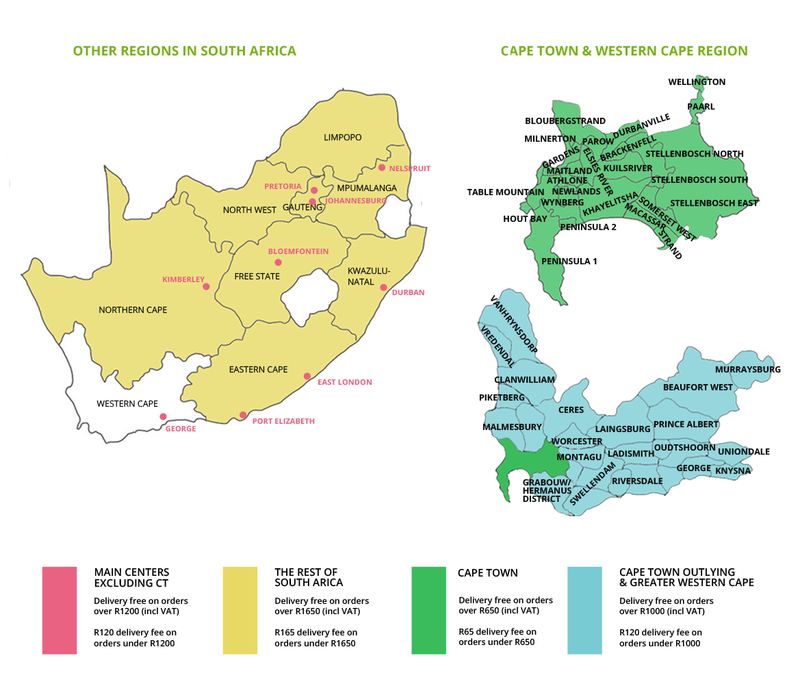 All other areas in the Western Cape not listed above. Bloemfontein, Durban, East London, George, Johannesburg, Kimberley, Nelspruit, Port Elizabeth, Pretoria. All areas not covered by any of the above. You can collect your order free of charge at out warehouse in Diep River, Cape Town. Collection times: Mon- Thu 8:30 – 16:30, Fri 8:30 – 16:00.